Dr. Coy is a graduate of the Ohio State University School of Medicine and completed his internal medicine residency and gastroenterology training at Northwestern University. He spent two years as an assistant professor at the Rush-Presbyterian Hospitals, where he completed two book chapters in hepatology and several manuscripts. In 1994, he joined GAIMS in the private practice of gastroenterology and hepatology. He continues with active involvement on research on new therapies for hepatitis C, as well as speaking engagements on hepatitis C and other gastrointestinal topics. In 2010, He received the patients’ choice award for ‘Most Compassionate Doctor’. 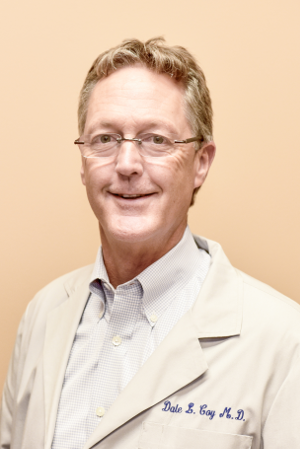 In 2013, Dr. Coy had the highest patient satisfaction rating (99.5%) in the Centegra Healthcare System. He was also awarded the 2012-2013 Talk of the Town Customer Satisfaction Award, rating him among the best in the area. Dr. Coy is married and has 4 children. He enjoys outdoor activities and seasonal sports. He enjoys reading literary classics, particularly Hemingway, Dickens, Hugo, and Steinbeck. In 2012, he published his own novel, “Morton’s Fork: A Doctor’s Dilemma,” a thought-provoking social commentary that leaves the reader with a greater understanding of tort reform and the issues that derail our health care system. The book is available on amazon.com and at local bookstores. Dr. Coy’s philosophy of care is accurate and expedient diagnosis of the patient’s illness and >dherence to the highest quality of medical care. His bedside manner is professional and friendly while treating patient problems.